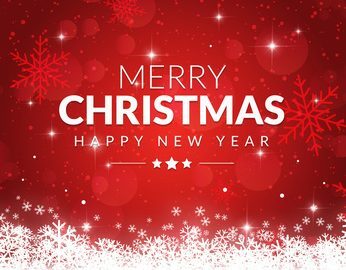 With Christmas Day fast approaching we wanted to wish you all a very Merry Christmas and a Happy New Year. 2017 has been another busy year for us at Check 4 Houses thanks to our fantastic clients. Over the past 12 months, we have saved our clients an astounding £248,000 when compared to standard agency fees. That’s an average of over £4,000 per sale. What would you do with the extra £4,000? It’s a long way towards a new kitchen or a new boiler. Our single biggest saving for a client was £10,526 (excl VAT). We sold properties of all shapes and size during the year, with the most expensive sale at £735,000. Many of the properties we sold were in our local area of Fleet, Frimley, Wokingham, Hook, Farnborough, Camberley and Aldershot, but we have also sold properties as far away as Southampton and London Docklands. Thanks to our internet-based approach we can sell properties anywhere in England from our head office in Fleet, Hampshire. At Check 4 Houses we pride ourselves on our customer service, which means putting our clients first. This year, this has included even conducting viewings on Skype. Working for a client in Hong Kong, we walked around on Skype showing her the house, as she wasn’t able to view in person. One sale we worked on was particularly challenging due to the number of cars on the road. Viewers consistently fedback that parking was an issue. After investigating the matter with the vendors and neighbours it turned out the two houses next door were trying to get permission to convert their front lawns into driveways, but one of the main service providers was not giving permission for a ‘box’ to be moved. Due to a personal contact, we were able to contact the service provider and get this authorised, so the work could be done. Once this was completed, the issue was resolved and a sale proceeded very quickly. After such a demanding year we will be taking a few days off over Christmas. The offices will be closing on Saturday 23rd December and reopening on Tuesday 2nd January. We are expecting the first six months of the year to be busy, as they are always a popular time to buy and sell houses. If you are looking to sell your home in 2018 then please give us a call on 01252 819725. We would be delighted to give you a free valuation of your property as well as talk you through our competitive pricing options, personal service and price match guarantee.